If your application does not have a command line interface, or if it has a graphical interface that you would prefer to use then you can make use of X to export this interface back to your computer. 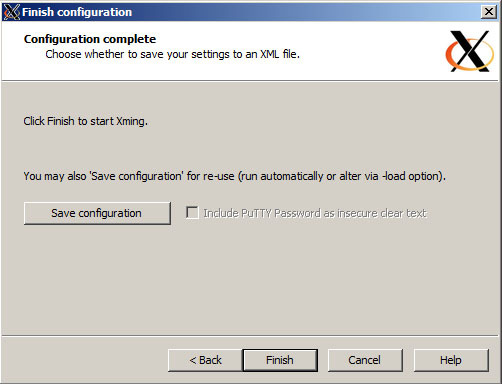 You will need to install an X client on your computer, such as Xming for windows or Xquartz for Mac. It is recommended that you save a ssh session in PuTTY with this option enabled to avoid repeating this each time you login. 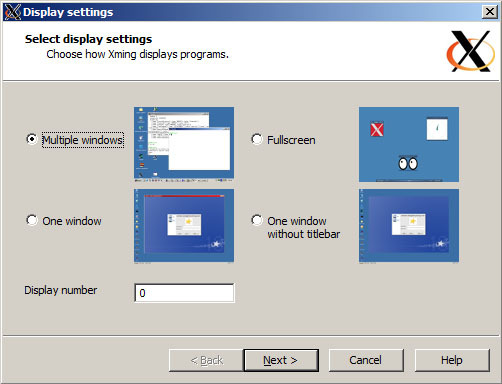 You then need to run a X client on your computer, we recommend Xming which is free. This needs to be running each time you want to connect a graphical application to your computer from the cluster. Select “Multiple windows” and “Start no client”. Ensure that No Access Control is selected, then click Finish. 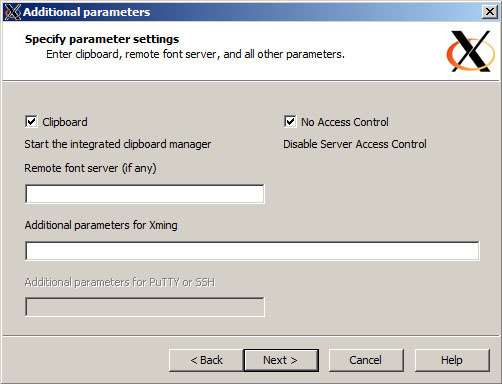 On the cluster you will need to set an environment variable to let the application know where to stream the graphic interface too. Note that there are no spaces around the = sign and the IP address is your computer. The 0.0 is the default display number on your computer. As this will be run from the worker nodes you must either include this in your script or set it on the head node and export this environment setting with the -V option in qsub. 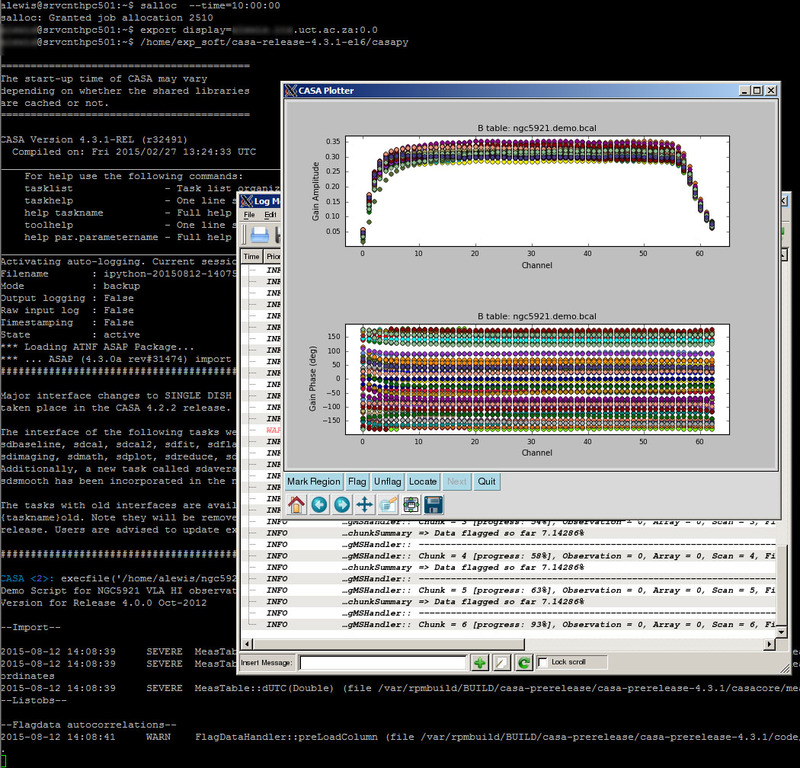 Below is a complete example using the HAL cluster with SLURM. The user initiates an interactive session with the salloc command, exports a display to a desktop X client and launches the application, in this case CASA. The application is controlled via both the cluster’s Linux command prompt (black background) and the exported GUI windows which are X windows running on the user’s desktop and can be controlled via the mouse.